Have you ever chosen to specifically forgive someone even though you didn't know how you ever could? How did that feel afterward, and what impact did it have on your peace, tranquility, and inner freedom? In this powerful, transformational audio program, we not only learn how our own negative thoughts impact our daily lives, we are also taken through a journey to forgive the individuals in our lives, as well as all situations and circumstances that we find ourselves living in. The power of forgiveness can set your mind and your heart free. In this program you will follow loving guidance to receive more light into your heart, and then spread it outward to all areas of your life. Through this power of forgiveness, we are then liberated and free, able to live in full creativity and expansion. 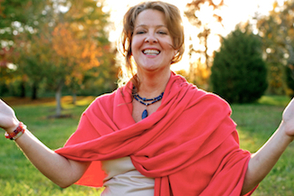 "This loving river of sacred and Divine Light continues to flow and to feed and to be present for you, arriving dynamically into your heart area." "See that your very own wings can shed and spread light to all those around you. This guidance that you are receiving now is entering into your heart, expanding it through your own wings, and now outward to your entire circle of relevant individuals who seek to receive your light." ​"The Wings of Forgiveness" guides us through understanding the power and freedom inherent in forgiving all situations, all individuals, all aspects of our lives. Although we may not be able to do this on our own, we are guided through the process, where we connect with a very loving being there to assist. Through opening our hearts and spreading our wings, we extend vast, loving forgiveness to all things. 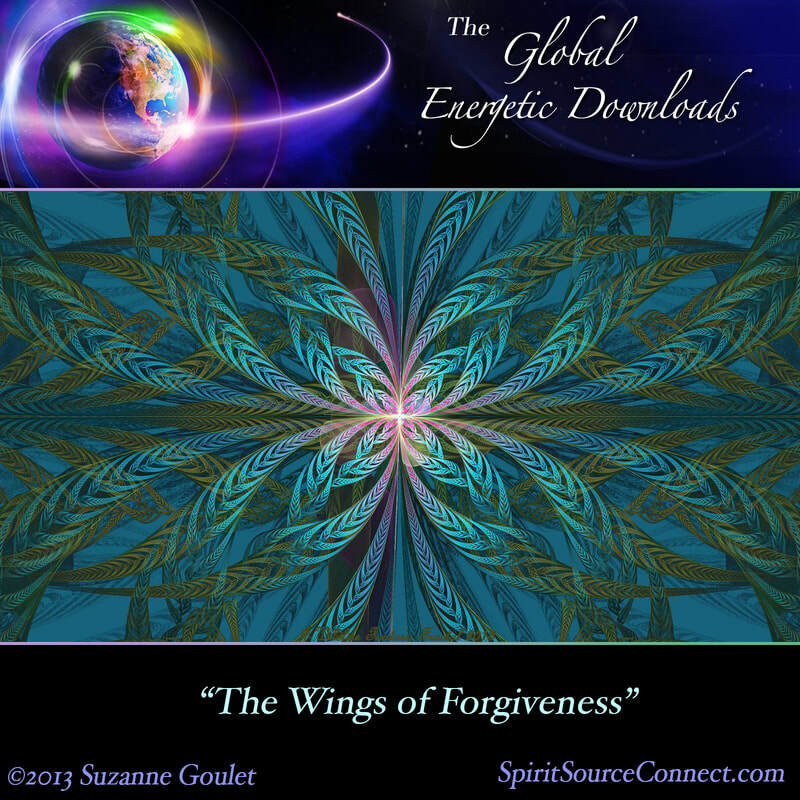 With your purchase of "The Wings of Forgiveness," you gain immediate access to .mp3 audio files, have a CD mailed to your address, and receive a beautiful, printed transcript of the enlightening guidance as well. Many have kept these transcripts to read and reread over and over, providing them with reminders, inspiration, and upliftment. 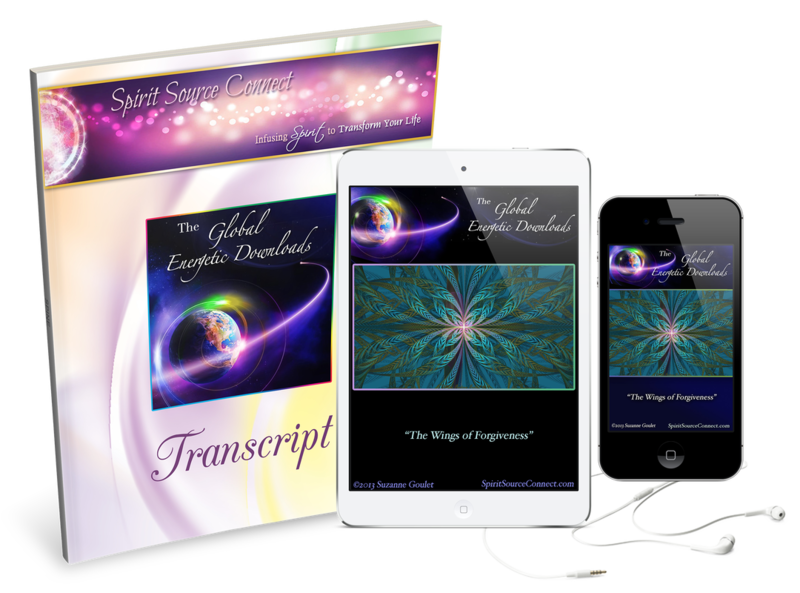 The Live Global Energetic Downloads are a monthly phone-based event available for you to participate in free of charge. A collection of the previously recorded events is available on the Global Energetic Audio page, HERE.